We were supported by a grant from the Committee for Research and Exploration of the National Geographic Society, with additional support from Williams College. 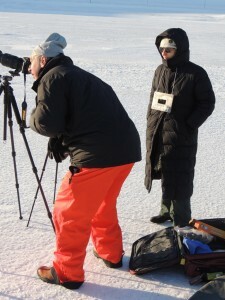 The following photos of Jay Pasachoff, Naomi Pasachoff, and Allison Carter are by Edw. Ginsberg. The following image includes a blend (made by Wendy Carlos) of several of our Pasachoff/Carter eclipse images with a SWAP image superimposed on the lunar silhouette and a LASCO coronagraph image of the outer corona. 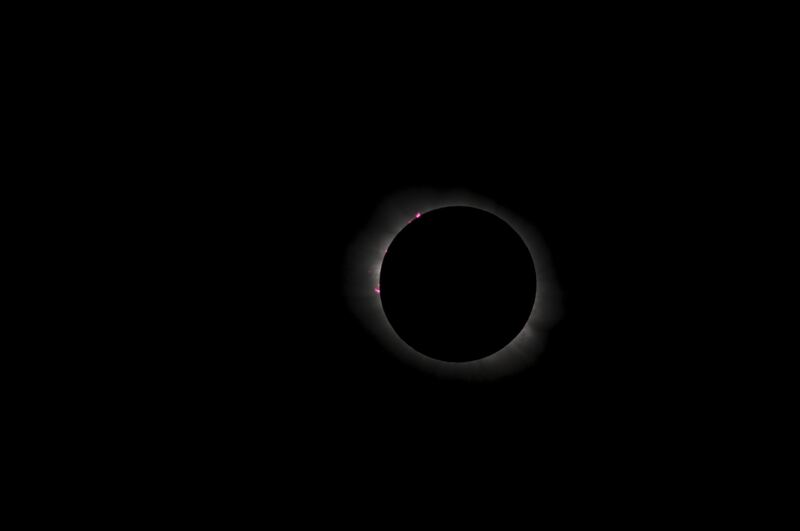 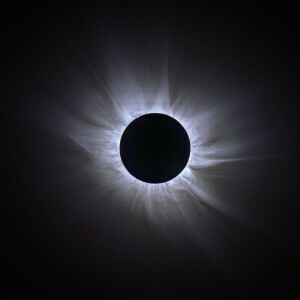 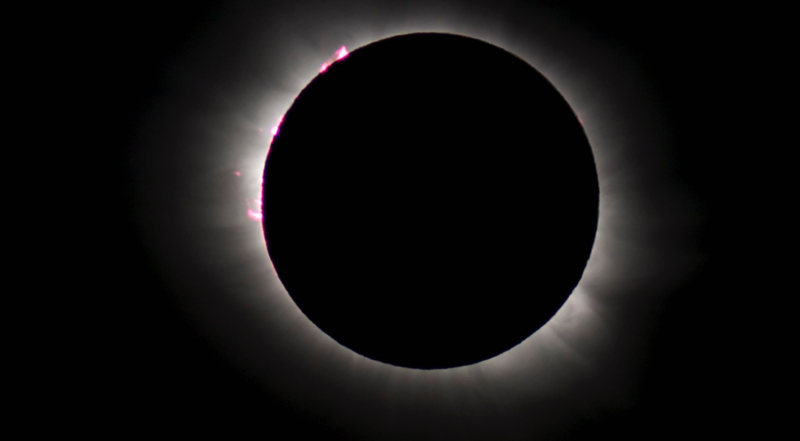 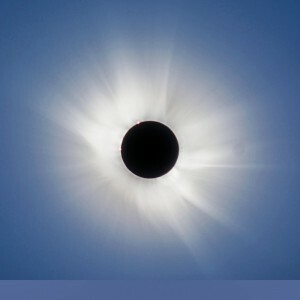 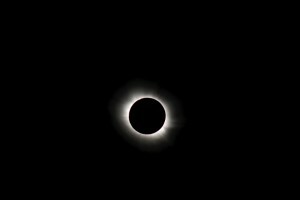 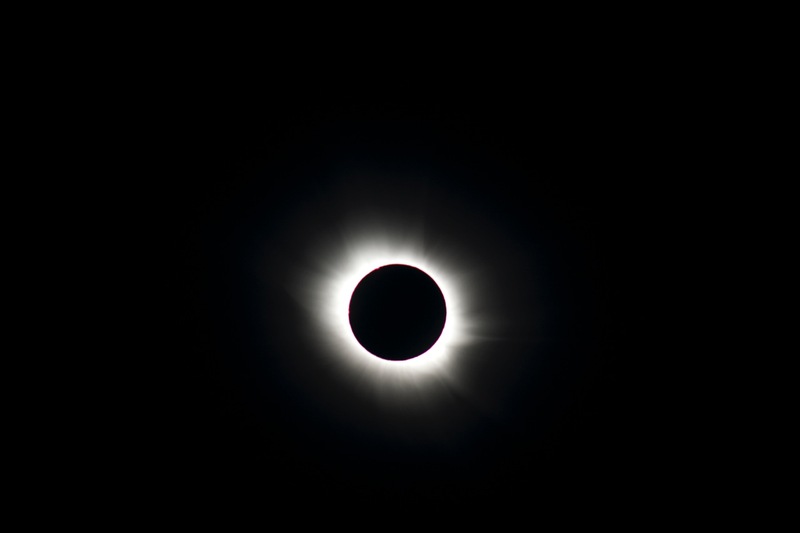 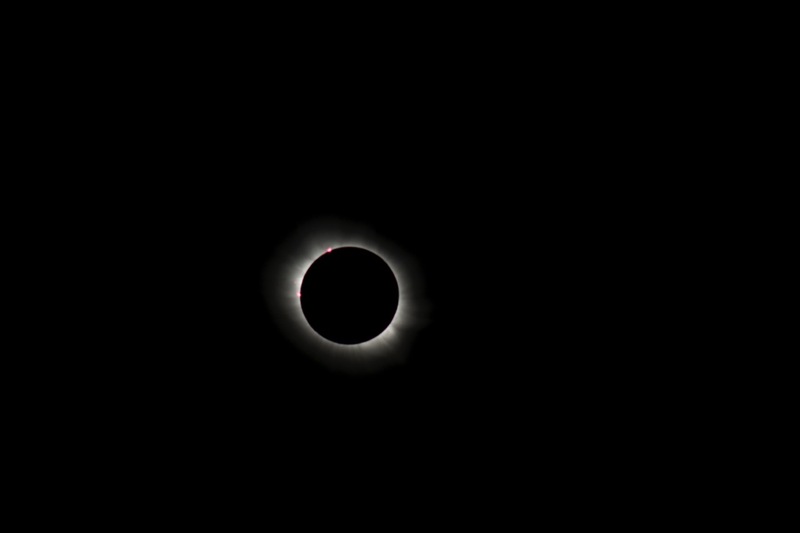 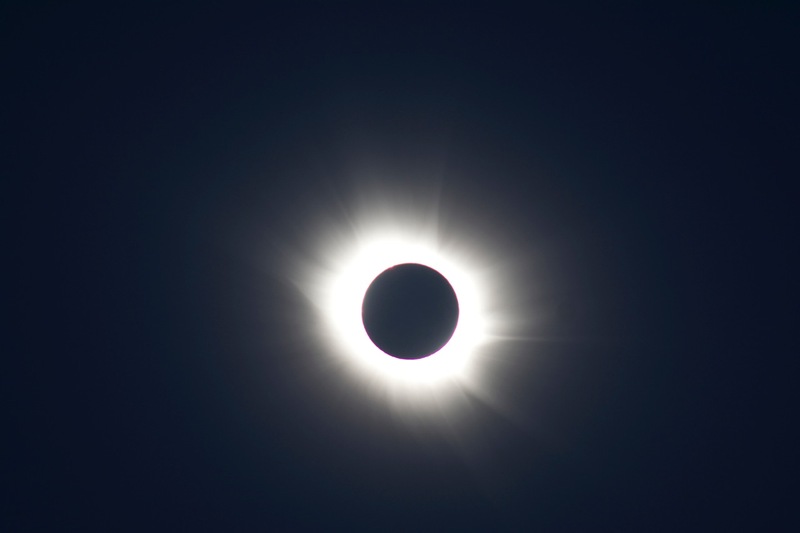 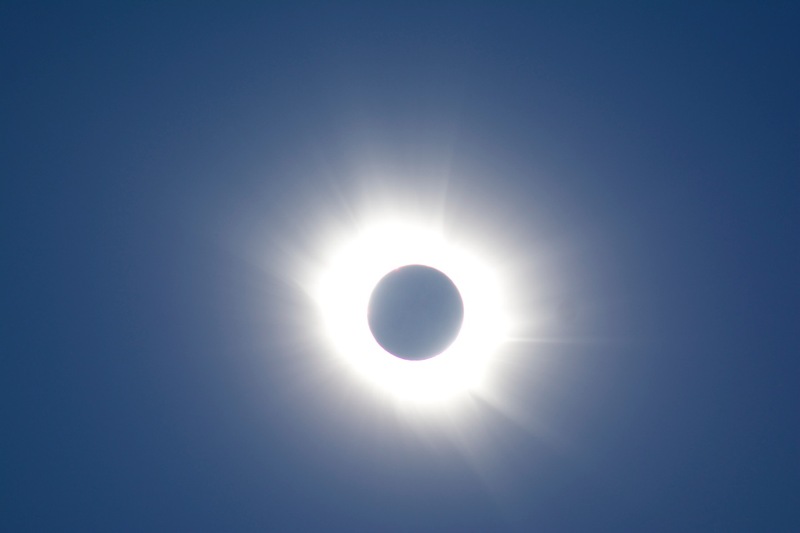 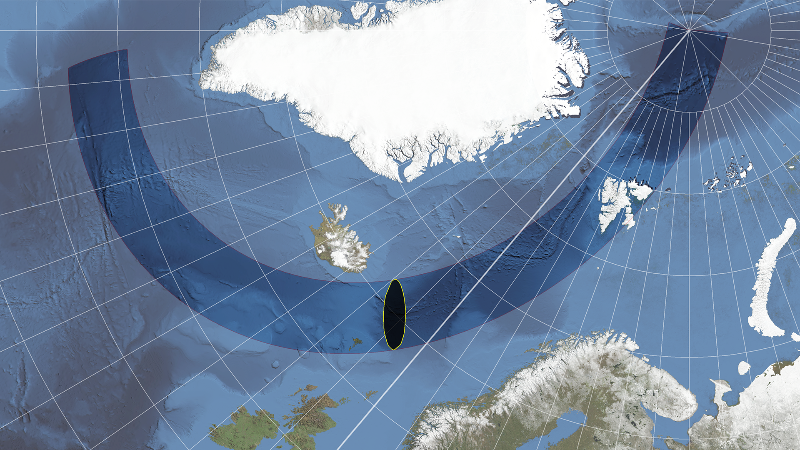 A composite image from the Williams College expedition to Svalbard for the March 20, 2015, total solar eclipse fills in the gap between an ultraviolet image of million-degree gas in the solar corona from the European Space Agency/Royal Observatory Belgium’s SWAP (Sun Watcher with Active Pixels) spacecraft (17.4 nm wavelength in the extreme ultraviolet) and the U.S. 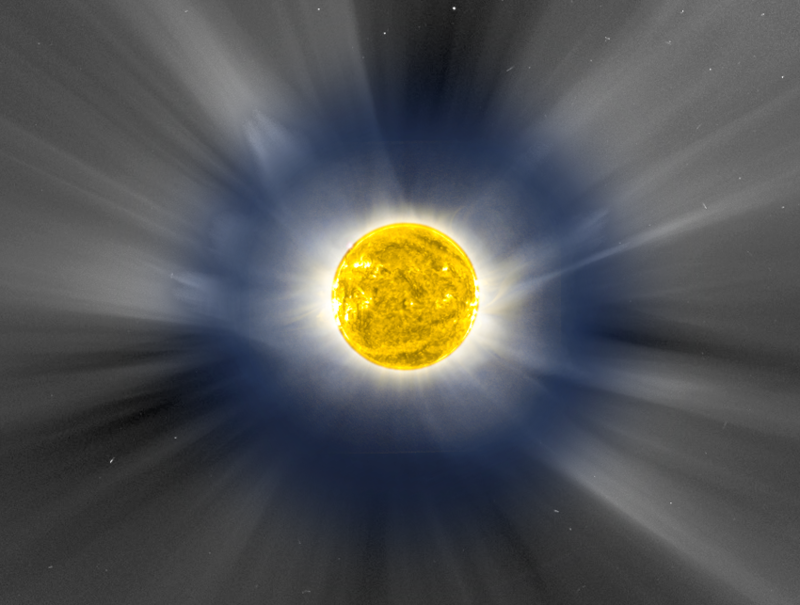 Naval Research Laboratory’s LASCO (Large Angle Spectrometric Coronagraph) C2 on ESA’s Solar and Heliospheric Observatory (SOHO). The eclipse image was given a bluish tinge to make it possible to distinguish it from the space images. 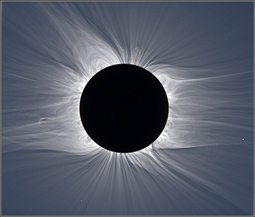 The corona showed the streamers at a wide range of latitudes typical of solar maximum. 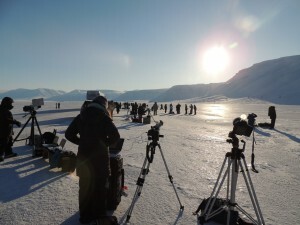 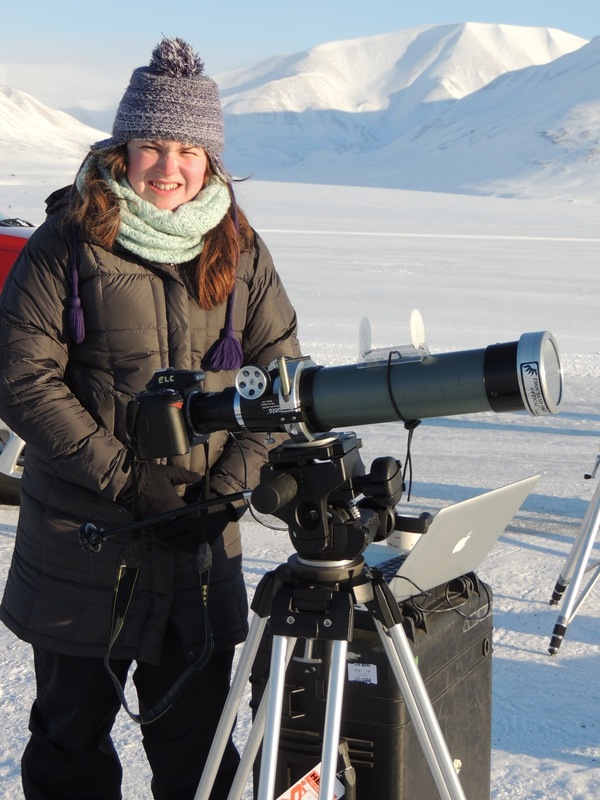 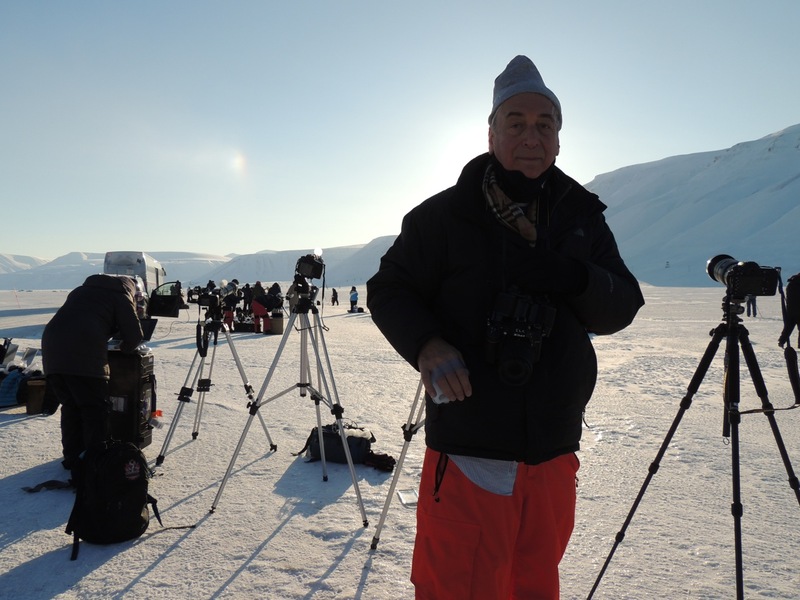 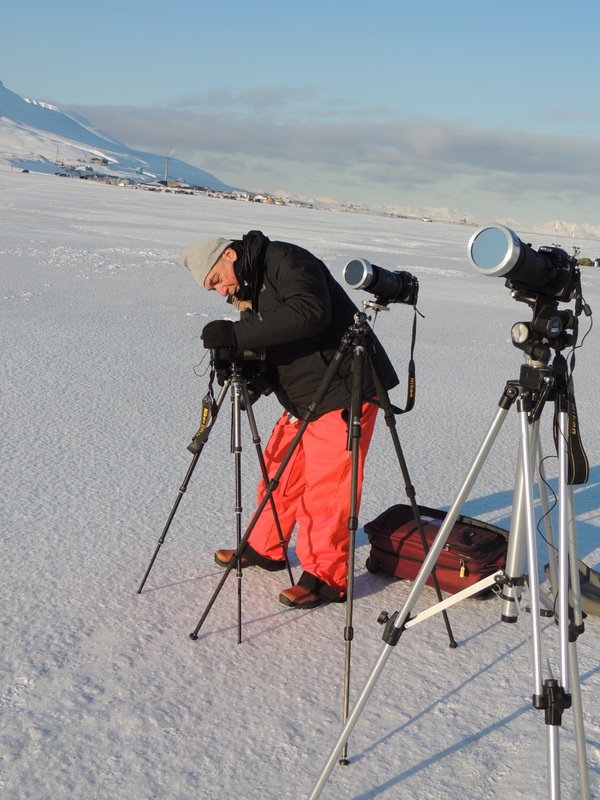 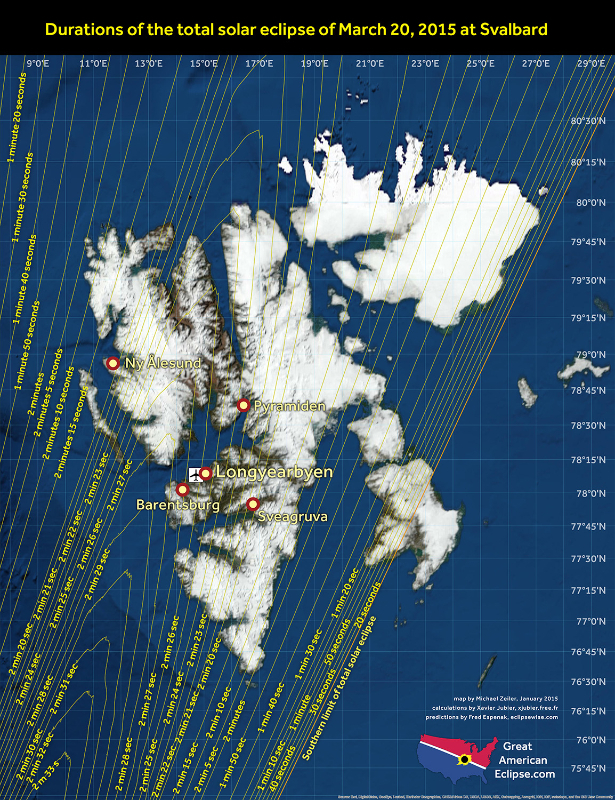 The expedition to Svalbard was supported by a grant from the National Geographic Society’s Committee for Research and Exploration. 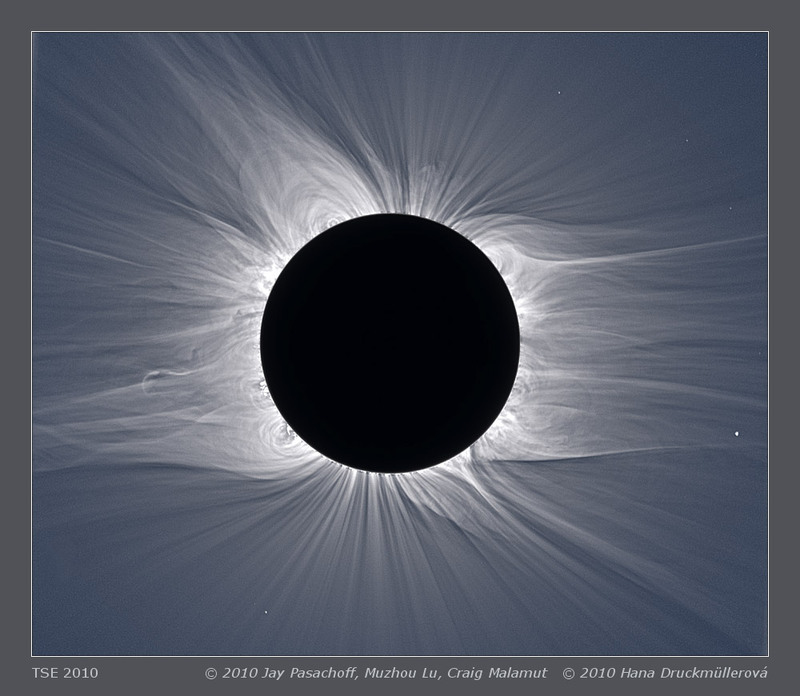 The following is a blended image (made by Wendy Carlos) of eclipse images by Jay Pasachoff and Allison Carter. 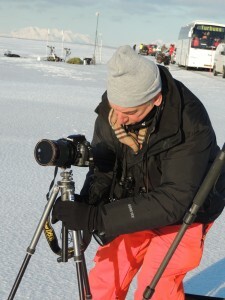 It is optimized to match a visual view over a wide dynamic range. The following is an image processed by Ron Dantowitz of some of the images he took jointly with Jay Pasachoff. 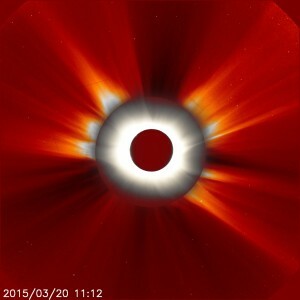 It is optimized for a higher contrast than visual range to bring out overlapping coronal streamers. 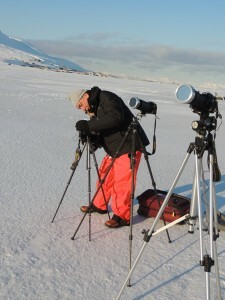 Other scientists in the expedition included Ronald Dantowitz of the Clay Center Observatory in Brookline, Massachusetts; Vojtech Rusin of the Tatranska Lomnica Solar Observatory in Slovakia; Aristeidis Voulgaris and John Seiradakis of the Aristotle University in Thessaloniki, Greece; and Robert Lucas from Sydney, Australia. 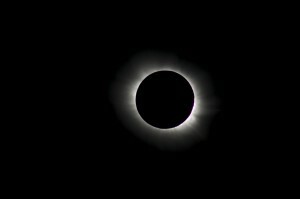 Amateur astronomer Michael Kentrianakis of New York City and eclipse map-maker Michael Zeiler were also part of the team.